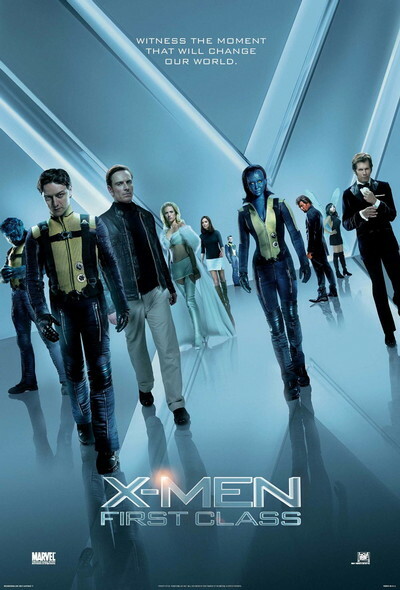 Story: X-Men: First Class, following the classic Marvel mythology, charts the epic beginning of the X-Men saga. Before Charles Xavier and Erik Lensherr took the names Professor X and Magneto, they were two young men discovering their powers for the first time. Before they were archenemies, they were closest of friends, working together, with other Mutants (some familiar, some new), to stop the greatest threat the world has ever known. In the process, a rift between them opened, which began the eternal war between Magneto's Brotherhood and Professor X's X-Men.